Major League Baseball released updated standings for the 2018 All-Star Game on Tuesday. As it pertains to the Cleveland Indians, the American League would only feature one Tribe player as of right now. 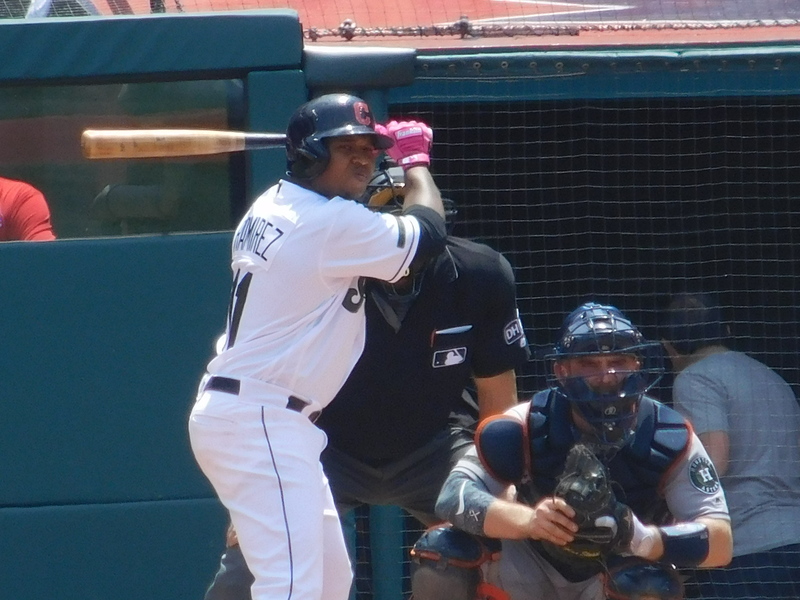 That player is Cleveland’s third baseman, Jose Ramirez. Ramirez has once again put together a strong first half that has put him not only in talks to start the Midsummer Classic but also the MVP discussion. Ramirez is batting .296 on the season with 23 home runs and 52 runs batted in. He’s also swiped twelve stolen bases and has a WAR of 5.3 currently. Ramirez is winning the vote at third base by an absolute landslide, which would give him his second-straight All-Star start. There are a few other Indians lingering around the top-five in their respective positions, those being shortstop Francisco Lindor, outfielder Michael Brantley, and catcher Yan Gomes. Lindor is in fourth-place and is roughly 300,000 votes behind Manny Machado for the lead. The Tribe’s shortstop is batting .292 with 19 home runs and 44 runs batted in. Lindor has never started in the MLB All-Star Game, which feels like some sort of travesty. He’s consistently been one of the better players in the league and most would agree that he deserves to have at least started one of them by now. Meanwhile, Michael Brantley is probably the most puzzling case of all. Brantley is having a ridiculous year after dealing with another injury-plagued season in 2017. Brantley sits in fifth-place in outfielder voting by a massive margin. Brantley is batting .313 with 11 home runs and 44 runs batted in. He has an OPS of .362 and a slugging percentage of .507. He’s been a staple for the Tribe’s outfield situation this season, playing in 66 of the 77 available contests. That’s durability that Brantley hasn’t been able to provide since 2015. Catcher Yan Gomes and second baseman Jason Kipnis round out the Tribe players still in the top five of their position’s voting standings. Gomes is batting .254 with nine home runs and 24 runs batted in. His slugging percentage is .457, another stat showing Gomes is having a stronger year than he has in the past. If this was based solely off of performance and not a fan vote, Kipnis wouldn’t be anywhere remotely close to top-five in the voting for second basemen. He’s batting a meager .214 on the season and has seven home runs and 31 runs batted in. He hasn’t been impressive and has even raised questions amongst reporters and fans on if he should even be the starter for Cleveland at second base. It’s been a rough year for Kipnis since suffering an injury-riddled season in 2017. The 2018 MLB All-Star Game is on July 17th, with voting ending on July 5th.